NIA Charlestown Nevis– Ahead of Nevis’ observance of Youth Month during April, the Department of Youth and Sports within the Nevis Island Administration’s (NIA) Ministry of Social Development has launched its Youth Speak Essay Contest, an opportunity for students between the ages of 12 and 19 to lend their voices to issues affecting young people on Nevis. 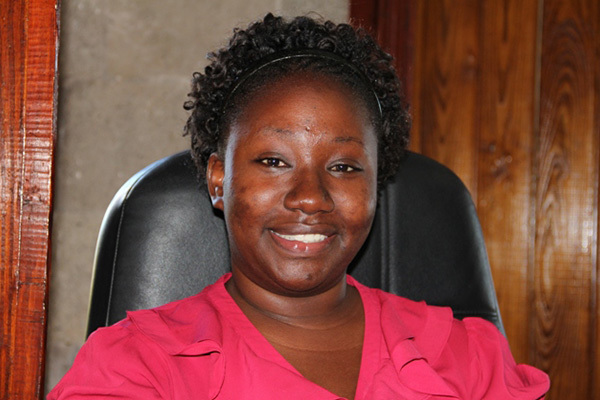 During the March 18, 2014 edition of Nevis Television’s “The Social Development Outlook,” Lanisa Burke, Youth Officer at the Department of Youth and Sports explained that the purpose of the competition is to engage the students in an educational activity to develop their writing skills and to stimulate discourse of the different issues in the society. The guidelines for the competition, as outlined by Burke, require each participant to write a letter to Nevis’ Minister of Youth, highlighting one problem or issue that affects the young people of Nevis and state one possible solution to the problem. “You can have topics such as, but not limited to, crime and violence, unemployment, education, patriotism and community involvement,” Burke noted. The essay contest is comprised of two categories: the Junior Category for First to Third Form students and the Senior Category for Fourth to Sixth Form students. The length of each entry should be between 500 and 700 words and the essay must be attached to a completed student entry form upon submission. The essay must be typewritten, double spaced and printed on letter sized paper. “Essays for the Youth Speak contest must be submitted on or before the deadline which is Monday 31st, March 2014 to the Department Youth and Sports located upstairs the Reliable Motors Complex, Charlestown, the latest, 4:30 p.m.,” Burke explained. Burke, who encouraged students on Nevis to participate in the competition, outlined the incentives for the participants. “The prizes entail cash prizes, lunches and dinners from some of our top hotels and restaurants, trophies and certificates,” Burke said.